I have often wondered why the painting called Mona Lisa gets so much attention – why is it so famous? Millions over the years – and I among them – have made their way to the room where it hangs in the Louvre in Paris to pay their respects, to catch a glimpse, or simply to say I have seen “the actual painting”; but why this painting? Don’t misunderstand me it’s a fine work by Leonardo Da Vinci and deserves a place in a museum like the Louvre. It is however, a mystery to me why this painting – as good as it is – merits all the attention that it receives. Surely there are other portrait paintings that are as good, or better than this work by Da Vinci – portraits by Raphael, Caravaggio, Durer, Velazquez, Rembrandt, Holbein, Vermeer, Ingres, or perhaps a Van Gogh and the list goes on. Alas all pale by comparison to compete with the attention given to Mona Lisa. 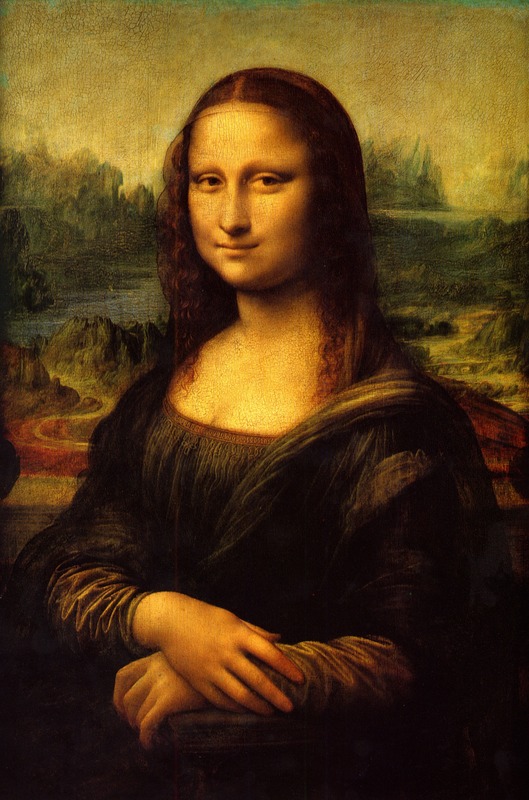 Recently I stumbled on a story that provided a bit of history that may go some way in explaining why Mona Lisa has the draw that she does. August 21st 1911. It was a Sunday and some workmen were at the gallery carrying out their various tasks as employees. Mona Lisa was not at the time a well-known work. Its glass covering was done by one of these workmen. Three of these men conspired to take this painting from the Louvre perhaps hoping to win some reward either by selling it or returning it. After spending the night in a museum closet they took the painting out of its frame and tucked it under a long workman’s white coat and early on Monday morning a day when the museum was closed they walked away with Mona Lisa. The painting is on wood and so could not be rolled up. It eventually found a home in the false bottom of a trunk. The heist won the fascination of the news media and the story was told everywhere capturing the interest of a wide public. This relatively unknown painting had overnight so to speak – become famous. 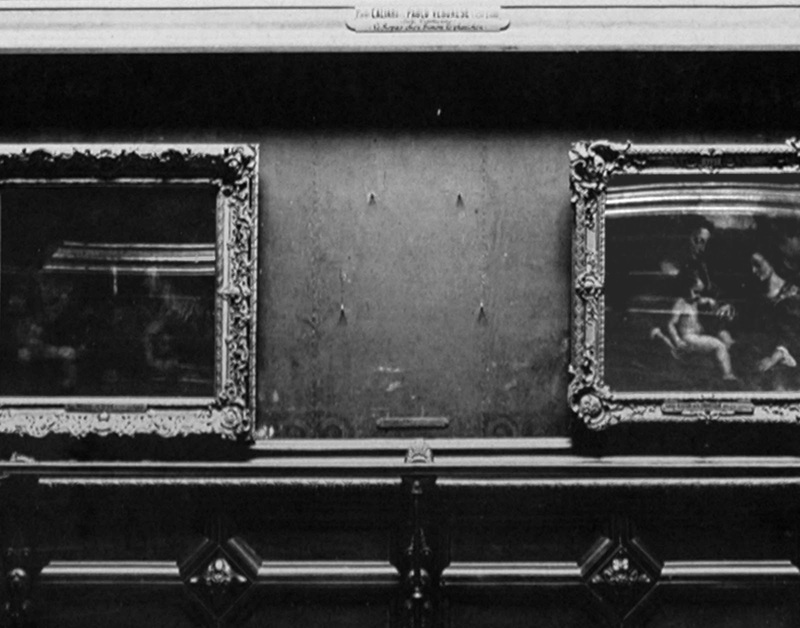 The Louvre had displayed the work since 1797 and it remained more or less in obscurity until it travelled out the doors of the museum in August 1911. The Louvre was closed for a week recovering from the shock of the theft and when it opened crowds came to see the empty space on the wall where the painting once hung. 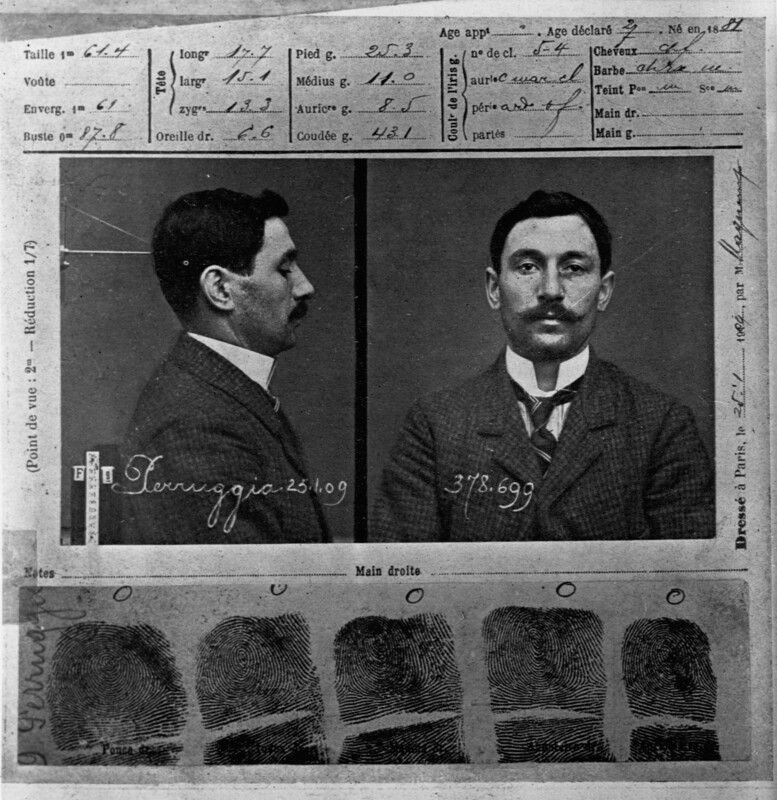 Vincenzo Perugia the ring leader of the operation kept the painting for twenty – eight months. Then hoping he might cash in on the goods he tried to sell it to a dealer in Florence. If not a buyer then perhaps he would get the reward money. When caught he offered a lame story saying he wanted to bring the painting back to Italy where it belonged. He spent eight months in jail and Mona Lisa was returned to Paris to great acclaim. The media had served to put this story on the lips of everyone not just in Europe but also in America. Once Mona Lisa was brought home – everyone wanted to see this now “famous” painting. It appears that generations later we still want to see this famous painting. This story suggests that the painting is famous not because it is such an exceptional work but because it disappeared and eventually found its way home. Crowds still clamour to see the work generally unaware of just how and why it became so famous. I might add here that Nat King Cole gave the painting a bit of a boost with his hit song Mona Lisa that topped the charts in 1950.